According to the National Diabetes Statistics Report 2014, more than 8 million people in the United States are undiagnosed sufferers of diabetes. Another one million people have glaucoma and are unaware of it. Researchers at the Ulsan National Institute of Science and Technology (UNIST) have been collaborating with Kyunkpook National University (KNU). Both institutes are based in South Korea. Led by Materials Science and Engineering professor Jang-Ung Park, researchers have created and enabled multifunctional health monitoring, especially for diabetes mellitus and glaucoma, by means of wearable contact lenses. The product contains sensors for detection of biomarkers in body fluids, in this case, glucose levels in tears which can be used for the diagnosis of diabetes, and intraocular pressure which is a risk factor for glaucoma. Sensors within this contact lens were built in such a way as to fit highly elastic electrodes and clear graphene and metal wires. This provides a highly conductive, robust and reliable hybrid structure of nano materials. This is especially true when comparing to earlier versions, which were weak in design and wearability, as well as impeding vision due to issues like opacity and the hardness of plastic. Some users of the conventional smart lens also complained of discomfort and safety, which was improved by scientists in this prototype. Glucose can be found in tear fluid, and if there is an excessive amount of it for more than two hours, a person will be pronounced a diabetic, or hyperglycemic. With respect to the contact lens, upon exposure to tears, the top layer of the hybrid film containing enzyme-coated graphene binds to the glucose, thus changing the resistance. Intraocular pressure (IOP), on the other hand, can be measured by thickness of the dielectric layers — a barrier separating the positive and negative charges — embedded in the sensors. Thicker the layers, more the IOP. This data then automatically gets collected and sent for analysis. Therefore, with the help of this set of contact lenses, patients will be able monitor their health in terms of changes in resistance and capacitance, in real time, and transmit this information by means of wireless antennae. That means no extra battery required to charge the lens! Detecting various analytes at once and measuring physiological parameters, like in this new “smart” lens, can help in tracking a wide range of human diseases and keeping in check overall health of the human body, in the future. 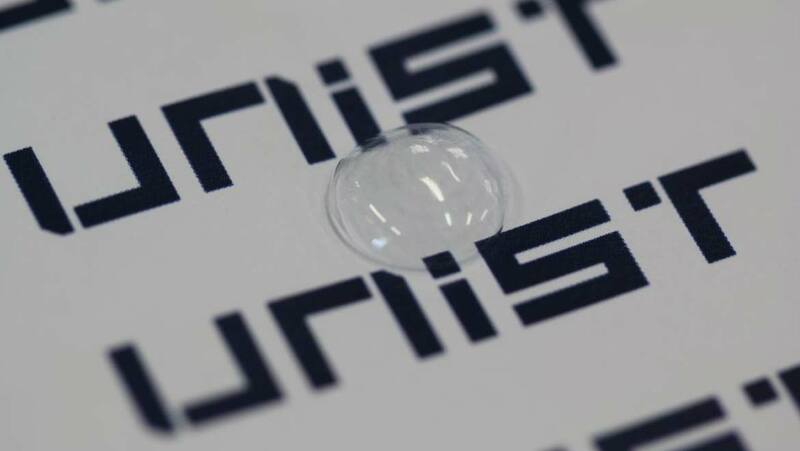 As Prof. Park said, “We are now a step closer to the implementation of a fictional idea for a smart contact lens in the films, like 'Minority Report’ and ‘Mission Impossible’.